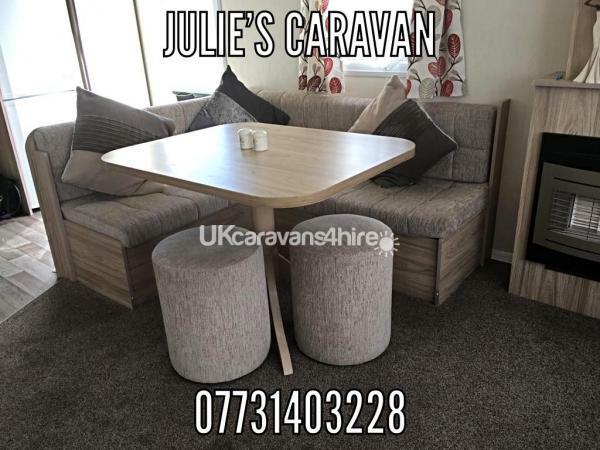 8 Berth Static Caravan to rent on Golden Gate Caravan Site in Towyn. 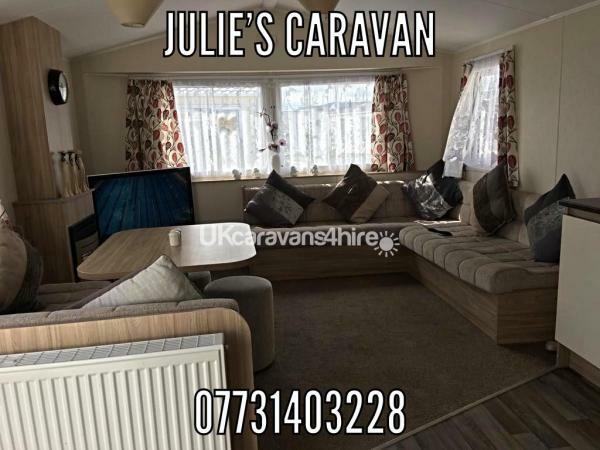 The caravan has three bedrooms (two twin rooms and one double room) and a comfy pull out sofa bed in the lounge. 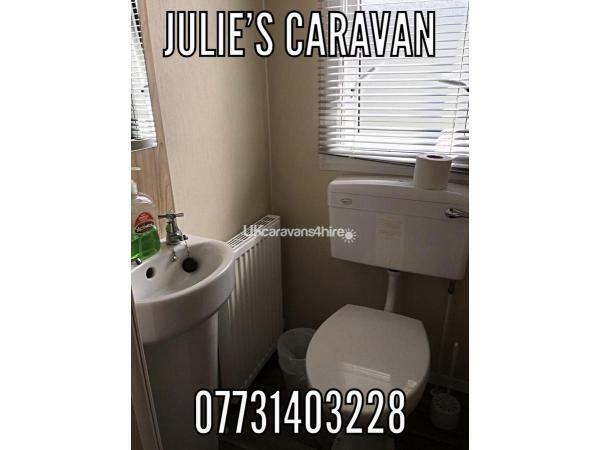 The caravan is a homely caravan. 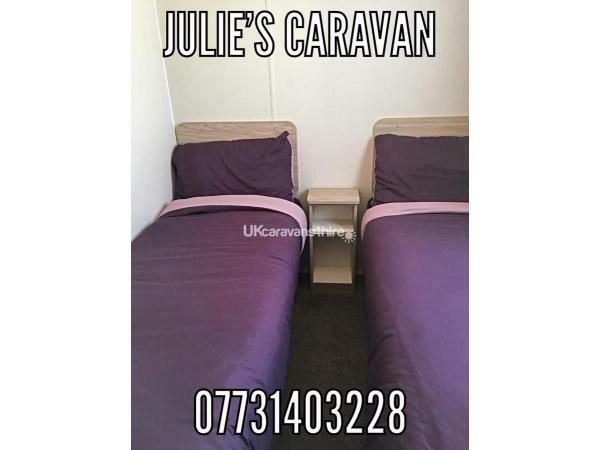 There is a shower room and a separate lavetry, a spacious lounge and a fully equipped kitchen. 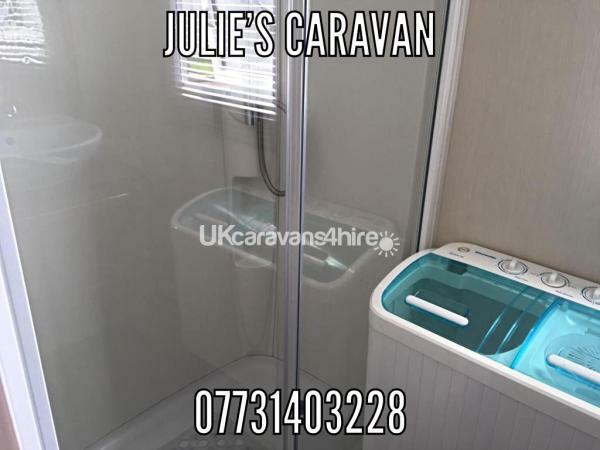 The caravan has central heating and double glazed windows throughout. There is also a parking bay outside the caravan which is backed onto the children’s play area. 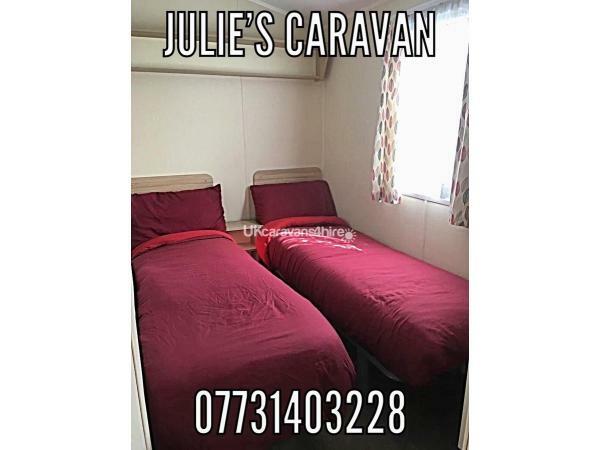 Amenities on site include a club house, swimming pool, chippy, laundrette and a grocery store. 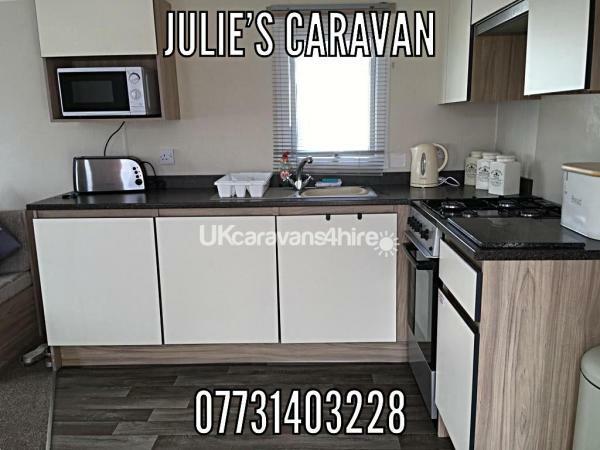 The site is ideally located within Towyn and is close to all local attractions including two fun fairs, arcades and a market. 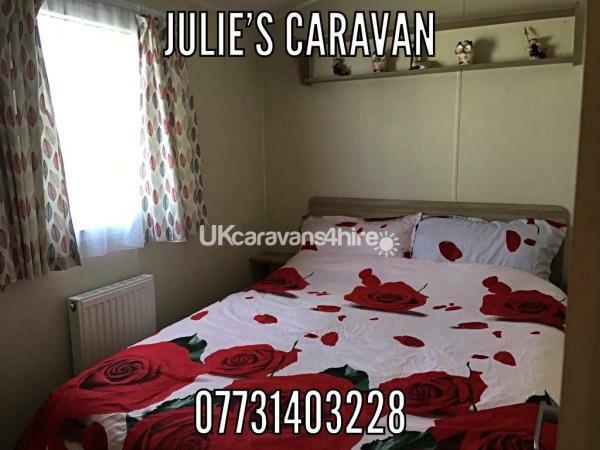 The site is also a five minute walk from the beach. Additional Info: A club house with nightly entertainment, a children’s soft play area, an arcade and an ice cream and pizza bar. A fish and chip shop.